In the conventional scheme of things, Mesopotamia as a regional toponym relates to a conglomeration of areas from various modern-day nations, including Iraq, Syria and Turkey. 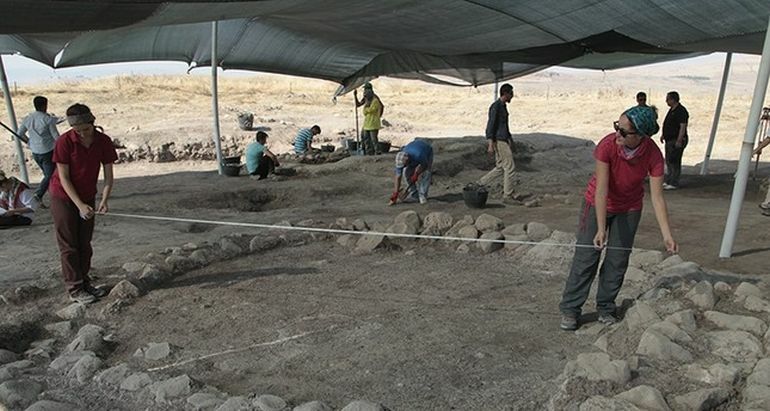 Pertaining to the latter, researchers working on the Domuztepe Habitation Excavation, have put forth their case for the identification of what might have been the roots of the ancient Mesopotamian civilization in Turkey’s southeastern Kahramanmaraş province. 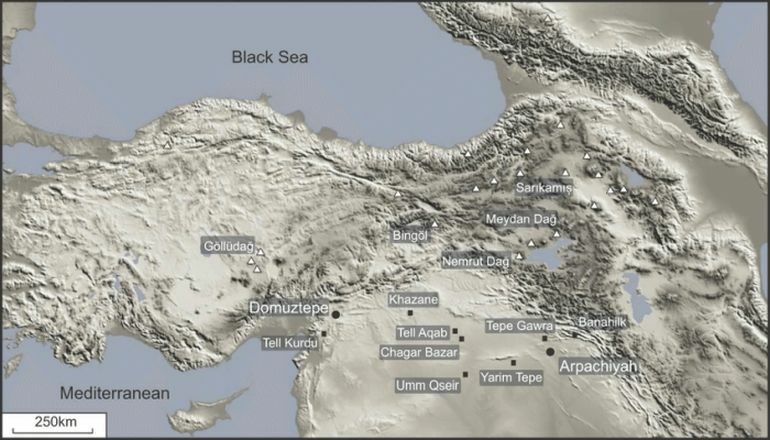 To that end, according to Professor Halil Tekin from Hacettepe University, who headed the project, Domuztepe dating from the late Neolithic period (circa 6200 BC), was the largest settlement in the Near East during the contemporary era, covering an impressive area of over 49 acres. [The settlement mound] was made out of a circular clay structure 6 meters [around 20 ft] in diameter, which indicates that they did not have a strong sense of a permanent structure. Tekin also talked about how Domuztepe was home to a relatively peaceful community that rather thrived on the site for 2,000 years. But they had to migrate to other parts of Mesopotamia possibly because of climatic changes. In any case, some pottery fragments (and their depictions) suggest that these people had their origins in Asia, much like their esteemed urbanized successors – the Sumerians. 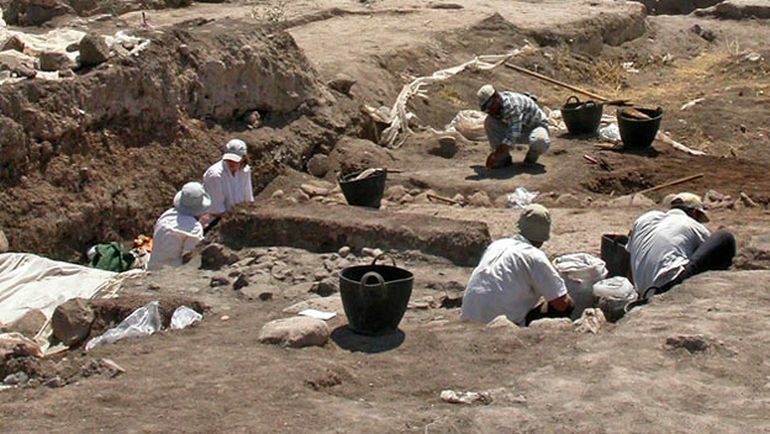 Furthermore, other than clay structures and pottery pieces, researchers have also unraveled a bevy of other objects from Domuztepe, ranging from bone tools, stone bowls, beads to even figurines. Essentially, as established by a previous 11-year spanning archaeological project conducted by the University of Manchester, Domuztepe served as the proverbial ‘bridge’ between the early pastoral groups and the later agriculture-based urbanized communities of Mesopotamia – thus alluding to the ‘cradle of human civilization’.